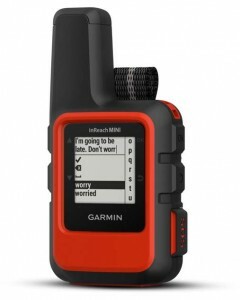 Garmin Introduces inReach® Mini Lightweight and Compact Satellite Communicator with GPS | Avionics Blog – Avionics to the Max! 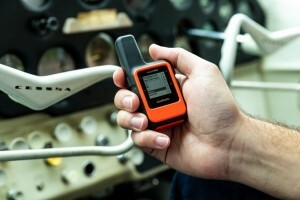 For the ultralight experience, inReach Mini encompasses it all, from messaging to tracking to declaring an SOS. It can be used on its own or paired with a compatible device. For example, a pilot can leave inReach Mini securely fastened to their flight bag while using their D2™ Charlie aviator watch to not only track their flight, but also remotely control their inReach Mini to send and receive messages. 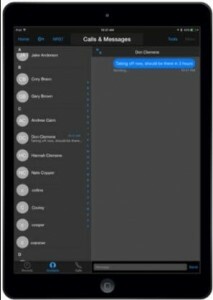 A pilot will also have the ability to send and receive messages conveniently through their Garmin Pilot™ app right from the cockpit. 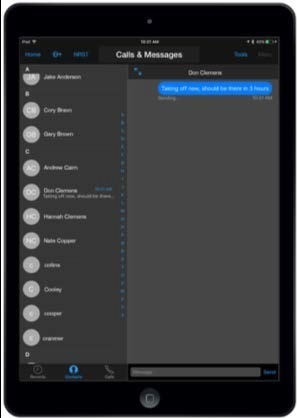 Garmin Pilot seamlessly allows the user to access their mobile device’s contact list for quick access without manual entry. It also leverages the GPS sensor from inReach Mini to drive a georeferenced aircraft position symbol on the app’s moving map. Using the web-based MapShare™ page created for each inReach account, inReach Mini also has the ability to provide tracking for those wanting to follow the flight. 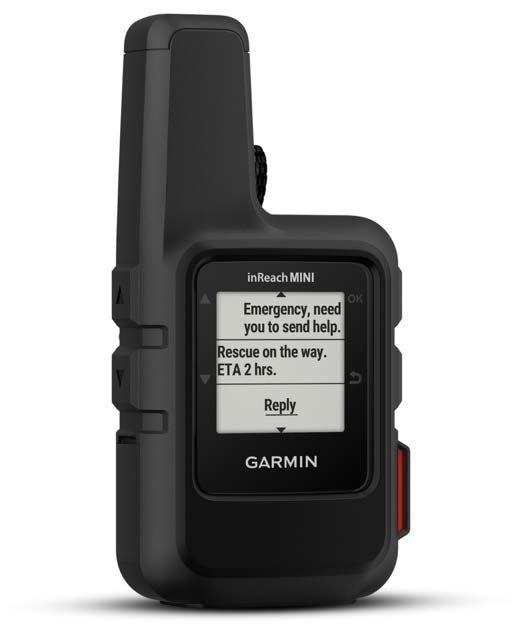 For adventures outside the cockpit, the Earthmate® app also easily pairs with inReach Mini® via Bluetooth® technology1 to provide access to georeferenced maps, aerial imagery, and U.S. NOAA charts. The Earthmate app allows all of the inReach features to be accessed through the paired mobile device, so a user can reach anyone in their contact list. Like all inReach devices, a user can hit the SOS button in case of emergency, which sends a distress signal to GEOS, a 24/7 international emergency response coordination center. GEOS will track the device that triggered the SOS and send the necessary emergency responders to the exact location. GEOS will deliver a confirmation that help is on the way and also continually update the user on the status of the response team. GEOS will also reach out to the user’s emergency contact and alert them of the situation. Every inReach device also gives users access to a cloud-based website to create preset messages, sync and manage their device settings, update firmware, link social media accounts, store unlimited location tracking data and more. To receive weather forecasts, the optional service provides detailed weather updates directly to inReach Mini. Users who choose either the basic or premium package offered for land or marine forecasts will know the conditions for a current location, a waypoint, or future destination. This entry was posted in Avionics 101 and tagged airplane, Canada, efis, emergency, Flight Instruments, garmin, glass cockpit systems, GPS, helicopter avionic system upgrades, inReach Mini, Maxcraft Avionics, radios, satellite, SOS, tcas, tracking, VHF. Bookmark the permalink.